"The Aftermath" is set in postwar Germany in 1946. Rachael Morgan (Keira Knightley) arrives in the ruins of Hamburg in the bitter winter, to be reunited with her husband Lewis (Jason Clarke), a British colonel charged with rebuilding the shattered city. But as they set off for their new home, Rachael is stunned to discover that Lewis has made an unexpected decision: They will be sharing the grand house with its previous owners, a German widower (Alexander Skarsgård) and his troubled daughter. In this charged atmosphere, enmity and grief give way to passion and betrayal. The Aftermath was released on Cinema 34d ago in the US and the UK. Based on 16 The Aftermath Cinema reviews, The Aftermath gets an average Cinema review score of 48. The score for all versions is 48 based on a total of 16 reviews. 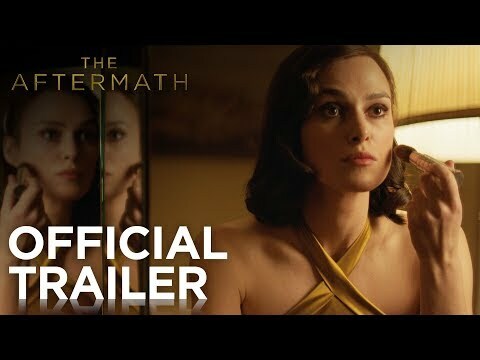 “The Aftermath” is simply another period melodrama that knows exactly what it is, and that just isn’t quite enough, especially when one considers the leading star’s career oeuvre. 'Testament of Youth' director James Kent returns to matters of love and war in his second feature, with well-cast, well-dressed but less emotionally rewarding results. Keira Knightley plays a woman torn between two men (Alexander Skarsgard and Jason Clarke) in James Kent's Hamburg-set postwar melodrama. The Aftermath wants to be a great war romance, but it’s stuck inside of Hamburg with the Casablanca blues again. Keira Knightley and Alexander Skarsgård are stuck together in a big, beautiful house. It’s snowing, and there’s a fire on. I wonder what’s going to happen.